Line dancing today is no longer all thigh slapping and ‘Yee hah-ing’. We now dance to all sorts of music from Pop to Latin, Country to Irish! Whatever your taste in music – we can line dance to it! 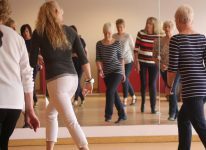 The dance routines we teach are many and varied and lots of the steps are ‘borrowed’ from other dance styles, so you might find yourself dancing Cha Cha, Waltz or even Tango steps as well as sometimes doing the old traditional Heel & Hook! 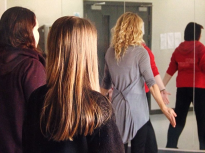 We have classes for all levels from Beginner – Intermediate. All classes are Pay-As-You-Go. These classes are FREE to try! The church hall is right at the top of Eltham High Street and there is free road parking in some of the side streets. Or use Sainsbury’s Car Park or Morrisons along the High Street. Buses that stop along the High Street include B15, B16, 124, 126, 132 & 162. Each separate class is £6 or do any two for £7 or all three for £8.